I'm super excited to chat with some of our new favorite plant people in New York City, the staff at The Sill. Located in the Lower East Side, The Sill is a plant shop dedicated to inspiring people to "bring more of the outdoors in" and helping them do just that! Staying in touch with nature is a huge part of feng shui, a great way to make adjustments and, in general, an all-around excellent decision for your space. Check out what The Sill experts, Erin Marino and Christopher Satch, have to say about bringing some nature inside! AC: Tell us about The Sill and your approach. EM / CS: The Sill is very different from other nurseries and florists in that not only do we source only what we consider "easy care" houseplants (no green thumb required! ), and design our pots and planters in-house + manufacture them locally in NJ, but we also walk you through plant ownership pre-purchase and continue to be a helpline once you bring your plant home. We are a growing community of people passionate abut plants, and we don't want to just sell you a plant and that be it. We want to help you pick out the perfect one and help you care for it by providing tips and advice, as well as plant diagnostics. You're not alone with your plant when you're with us. You list five of the benefits of having houseplants on your website. What would you say is the biggest benefit, and why? All of those benefits - increase in mood, decrease in stress; cleaner indoor air; increase in productivity + creativity; an enhanced environment; etc. - are great benefits to have, but probably the one that stands out the most to us is that your plant companions are uplifting. They boost your mood and increase a space's aesthetic value. Plants make people happy! We also happen to enjoy the air-cleaning qualities, too. Everyone can use some fresh air, especially in an urban environment like New York City where we're based. How do you select plants to offer your shoppers and followers and how do you package these plants? In our NYC storefront, or when speaking with our corporate clients, we often ask about the environment in which the plant will be located - How close is it to a window? How much direct sun does it get, if any? What's the care commitment that can be invested into this plant? We don't want to give a high-maintenance plant to someone who's too busy to care for it. And we think that that's where a lot of other companies lag. They'll tell you that you can have whatever you want, and as soon as they have your money, it's goodbye. We not only help you pick the best plant, package it so that it's stable during transport, and doesn't get damaged, but we also want to see it through in its new forever home until it's thriving. 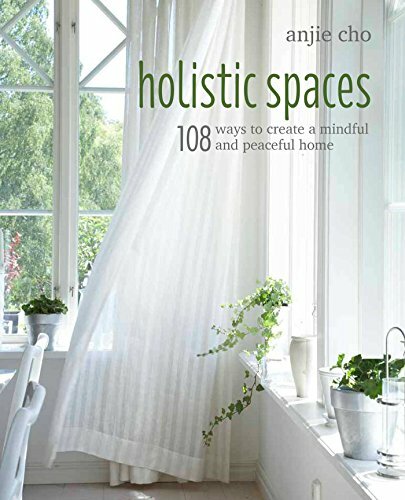 What are 3 tips for our readers, to bring in some of the Sill philosophy into their holistic spaces? Keep a vigilant eye on where the sun is at different points in the day. Where is it in the morning? Midday? Evening? How does this affect my plants? How about my humidity and air flow? Radiators and A/Cs can have a profound effect on a plant that's very close to them! And usually a negative one. To keep a plant happy and healthy in a house, the goal is to recreate the natural environment as best as possible. We provide information on the origins of the species of plants that we carry. This helps us and our customers place the right plant in their homes that their homes' environment allows for, or help them make the changes to come closer to creating it. Enjoy your plant companion and have fun with it. Decorate your pot, or if your plant is a vine, train it along crazy trellises. Use natural stones or gravel on top of the soil of any color that your heart desires. Horticulture is both an art and a science! Let your artistic side shine and express yourself. How does The Sill create a holistic space for itself (and / or for your clients)? Since plants make people happy, the more plants, the better! Our shop is covered from floor to ceiling in all sorts of greenery. And not all plants are green! Some come in various shades of every color you can imagine. We know that there is something for everyone, and you don't need a "green thumb" to reap the benefits that come with the presence of plants in a space. The Sill brings easy care houseplants direct to your door, order online or shop their Lowest East Side storefront located at 84 Hester Street. Featuring their own line of locally made plant pots and stands, The Sill aims to inspire you to bring more of the outdoors in. The Sill was created with a simple ambition – to inspire people to bring more of the outdoors in. Our mission is to make the experience of discovering the perfect plants as wonderful as the plants themselves. The Sill is the source that bridges the gap between plants and people – offering products and services that to fit with your personal style, your lifestyle, and your budget.